Had a blast making this image! 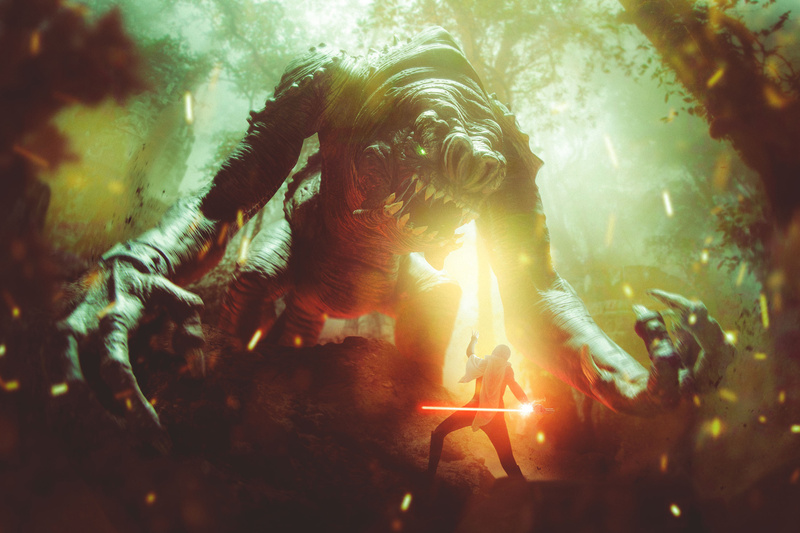 Shot my friend's Rancor model , and then did a quick shoot with my wife for the Sith. Comped together in Photoshop in about 5 hours.